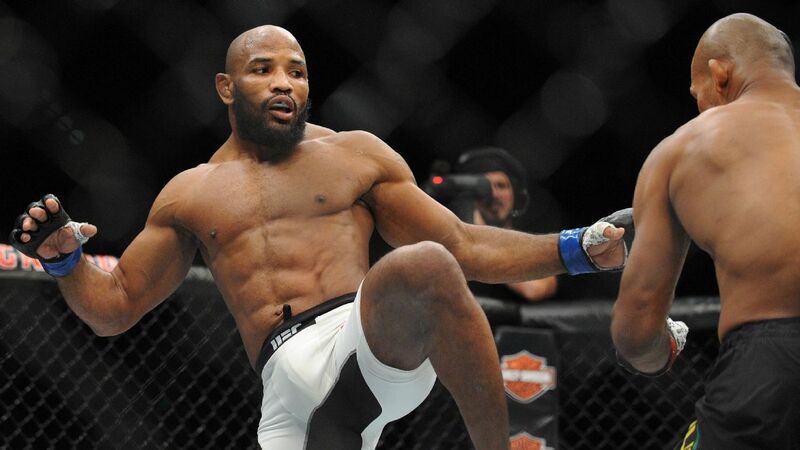 Yoel Romero missed weight ahead of his UFC 221 headliner against Luke Rockhold, and as a result, will not be eligible to win the interim middleweight title Sunday in Perth, Australia. Romero (12-2) could not make the 185-pound limit at Saturday’s weigh-in. He initially came in at 188.5 pounds and had two hours to drop the remaining pounds. When he stepped back on the scale, he weighed in at 187.7 pounds. The two will remain on the card. If Rockhold wins, he’ll be the interim champ, according to UFC president Dana White. Rockhold (16-3) is coming off a second-round TKO win against David Branch in September. He hopes to rebound from a decision loss to Whittaker last July. He previously won eight consecutive bouts. Heavyweight veteran Mark Hunt and rising contender Curtis Blaydes are also on Sunday’s card.